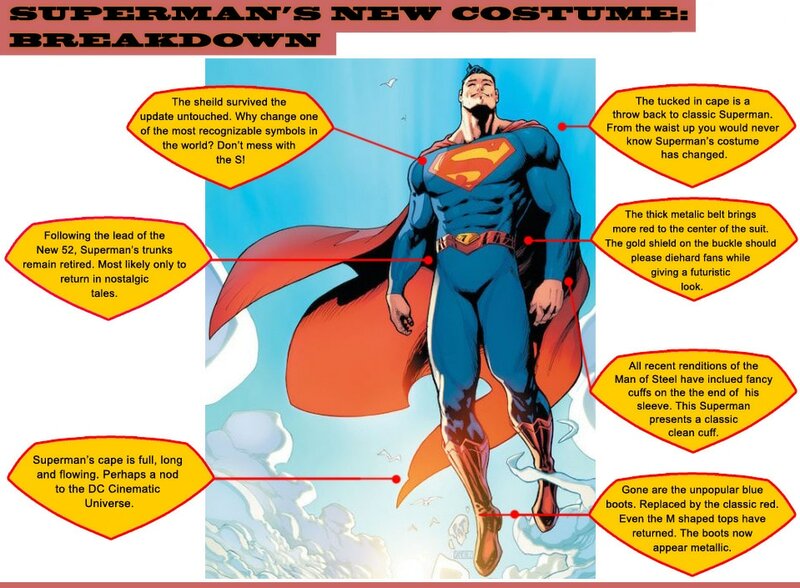 Superman's legendary costume has been around for 79 years and it has relatively stayed the same for most of them. In the last few decades Superman's trunks came under scrutiny for being old fashioned and out of style. Tired of the constant ridicule and with updates being made to nearly every other DC character, the holders of the most famous superhero felt they had to do something. As much as people wanted change, changing a hero so iconic is never easy, especially when people don't exactly know what they want. So after many years of trying it looks like they have come up with something that could please fans young and old.